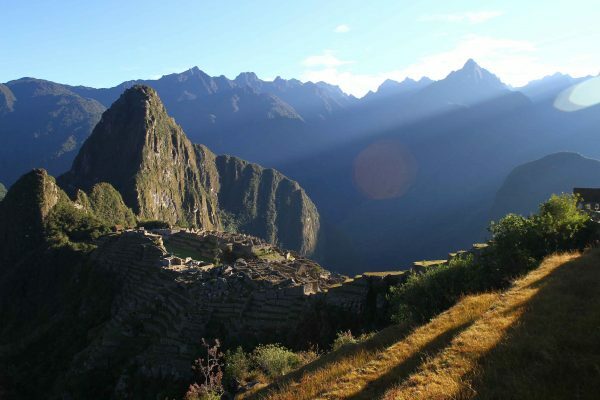 Machu Picchu is by far Peru’s most popular destination and therefore it is no wonder that the hotel and accommodation scene has exploded here. 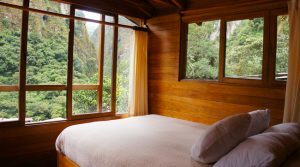 Nevertheless due to the location, in a narrow canyon, next to the Urubamba River, space is limited in Aguas Calientes (Machu Picchu Town) and hotels therefore often have to be inventive with the spaces available. 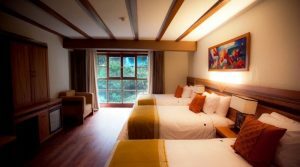 Nevertheless in Aguas Calientes one can find good quality hotels for all types of travelers and budgets. 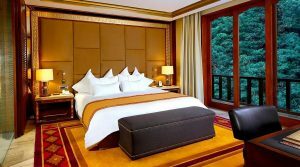 Apart from the standard amenities and services we look for in hotels, for Machu Picchu some other factors we think are important when choosing a hotel for our passengers. These are the hotel location; Machu Picchu is a pedestrian town with no traffic. The town is not that big but everything has to be done on foot. Also the location in regards to the train and bus station is good to keep in mind. 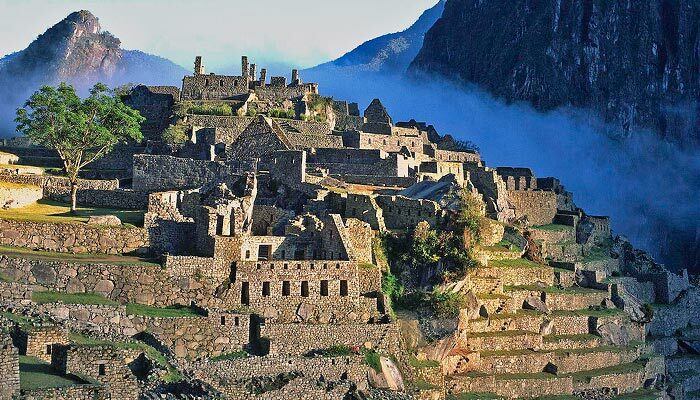 Secondly as Machu Picchu is a town with a semi exotic and humid climate it is important that the hotels are foreseen for this with good ventilation or air conditioning for the higher end hotels. The Pueblo Hotel is located on the outskirts of town in its own private park full of orchids, hummingbirds and other species. Cozy, warmly decorated rooms in different bungalows connected with paths through the cloud forest. Some rooms even have a private plunge pool and patio. Breakfast & dinner is included with the stay. This luxurious 5* property is located on the outskirts of town on the road to Machu Picchu. A newer building with all superior amenities expected from this level of hotel. 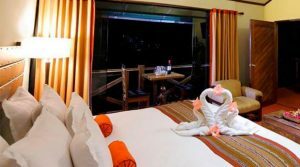 Rooms are spacious, thoughtfully decorated and some have a private balcony with river view. Breakfast & dinner is included with the stay. 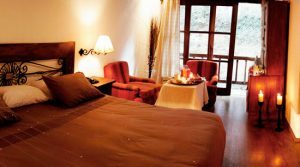 This boutique hotel is located in Aguas Calientes close to the train station and next to the river. Several of the rooms have a private sitting area overlooking the river. The property has a small Spa and massage center and provides warm, cozy rooms with a great service. 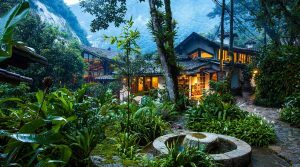 This boutique hotel is located next to the river in Aguas Calientes. The hotel has cozy rooms, several of which overlook the river. Some rooms have a chimney while some bathrooms have a Jacuzzi. The hotel also owns a nice restaurant next door where dinner can be taken. 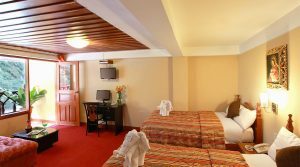 This modern hotel is conveniently located on the main street in Aguas Calientes. The hotel provides contemporary bright rooms will necessary amenities. 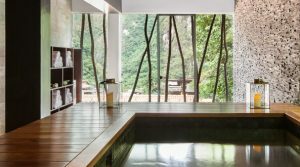 Part of the Inkaterra brand this hotel provides its guests with a great place to relax in between their Machu Picchu explorations. Dinner is included. This relatively new hotel is located close to the train station in a modern building with up-to-date services. 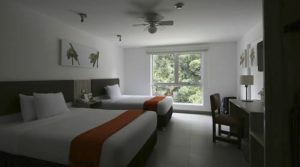 Clean, fresh and bright rooms provide all the essential services needed and a great base for your visit to Machu Picchu. Located on the road to Machu Picchu this recently renovated hotel provides spacious rooms, some with river and others with mountain view. 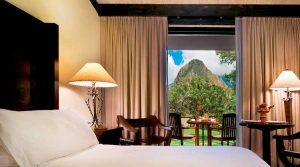 Rooms are equipped with all the necessary amenities for you to unwind before or after your visit to Machu Picchu. The Taypikala Hotel is located on a quiet square on the higher end of town. The building is higher than the surrounding ones providing rooms overlooking the town and small river next door. Rooms are clean and simple and provide all comforts expected. 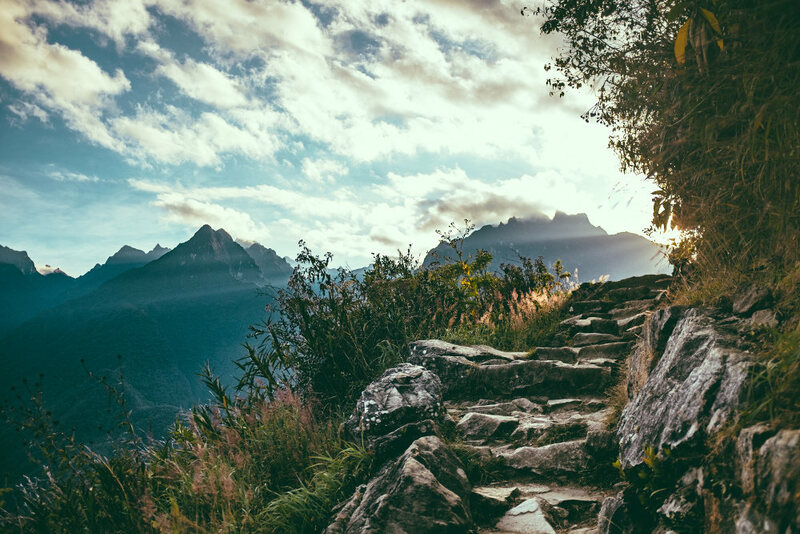 Conveniently located en route to Machu Picchu the Santuario Hotel provides good, clean quality rooms with all essential necessities for your stay. Some of the rooms have a river view. This cozy hotel is located on the main street of town just off the Plaza de Armas, close to both the bus and the train station as well as good restaurants. Warm rooms provide a nice heaven to unwind after or before you day excursions to Machu Picchu. 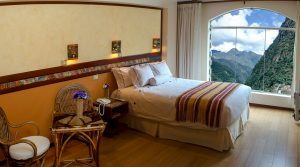 Some of the rooms have a balcony allowing you enjoy the daily life in Aguas Calientes. 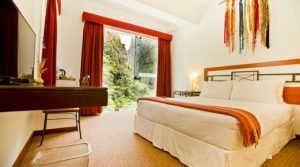 Located slightly outside of Aguas Calientes this hotel is surrounded by the typical lush green forests of the area and provides a different view of the hectic little town of Aguas Calientes. Wooden rooms provide all basic amenities needed for your stay.